For the first time ever: the story of all six movies in one book full of real film art. Seriously epic! 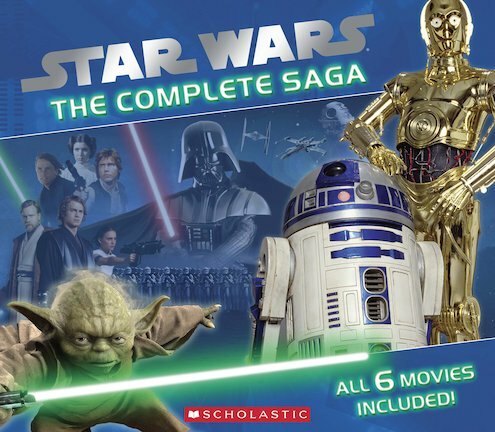 A one-stop way to witness the complete film saga, from The Phantom Menace to Return of the Jedi. This bumper book is illustrated with step-by-step colour frames taken directly from the movies. With all the heroes, villains, battles, betrayals and great triumphs, it’s the whole Star Wars screen story. Without a screen in sight.